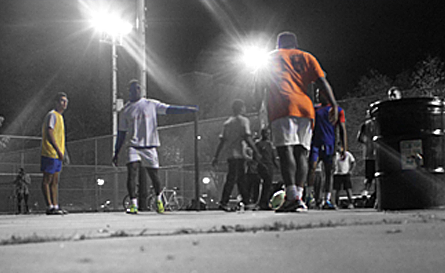 Soccer1 is a social enterprise ecosystem that supports community development through soccer. The Futbol1 Village Project is the flagship initiative of Soccer1 that supports community development by sponsoring a network of community-based soccer clubs. The +Futbol Innovation Lab is a testing ground for new program design concepts within the space of soccer and development. The I-lab has spurred new strategies to promote gender equity for young women in Cite Soleil, and self-efficacy for Special Olympic Athletes in Greater Boston. We’re all about team play, creativity and fun. 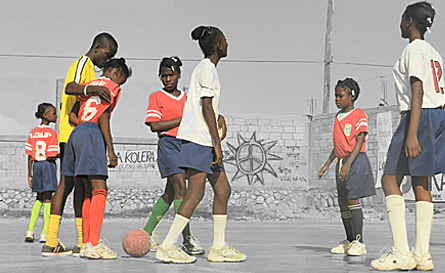 Our teams in Cite Soleil get crafty on an old concrete shop floor, and players in Boston lace up their boots for small- sided futsal tournaments on basketball courts. 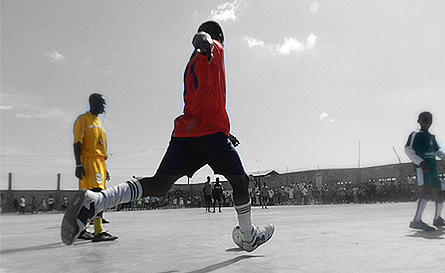 Soccer1 is a social enterprise ecosystem that supports community development through soccer. Soccer1’s mission is to support, connect, grow and showcase the culture of community-based soccer as a vehicle for community development initiatives. 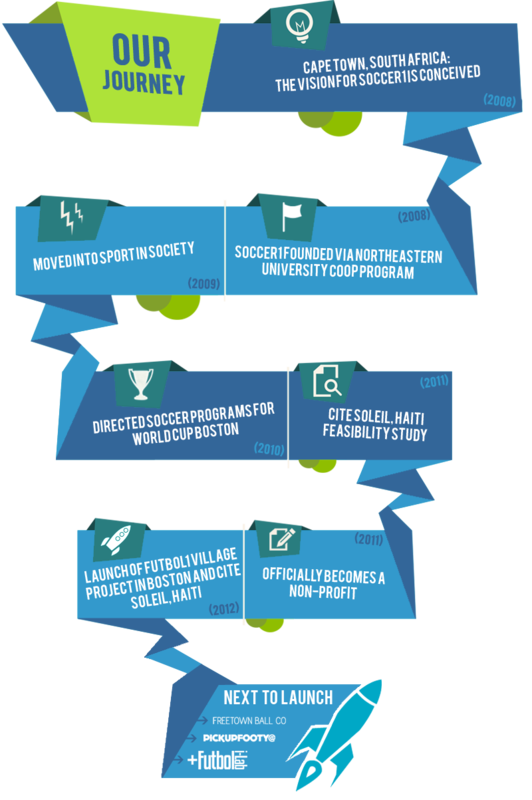 Soccer1 envisions a day when– through a collaborative and coordinated effort across the public, private, non-profit and civic sectors– community-based soccer is a widespread facilitator of social change.